COLUMBUS, Georgia –The No.1 Archery Training System in the world, the AccuBow, is now available in Realtree EDGE camo. The AccuBow has taken the archery and bowhunting industry by storm in the last year with its revolutionary design and ability to enhance your abilities as an archer and bowhunter. 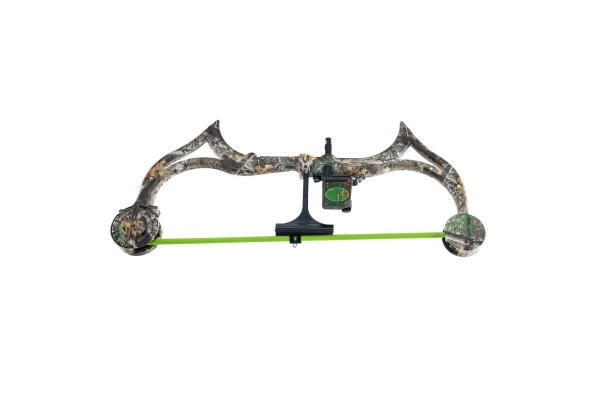 Not only can the AccuBow help you increase your bow strength, bow poundage, holding stability, stamina and allow you to work on your technique, but you can also now shoot interactively – no arrow required. This means you can take your archery training and bowhunting preparations anywhere, anytime - no matter your circumstances. This is especially useful for when shooting your bow is simply not an option. Simply download the AccuBow app, attach you phone mount, and start shooting. Whether you are hanging out at hunting camp, watching ‘Realtree Monster Bucks’ in the living room, traveling on the road, or stuck inside due to bad weather, the AccuBow bow trainer is a must-have. The archery community also uses this product for injury-rehabilitation purposes. The AccuBow’s proprietary design allows you to adjust the poundage of this archery trainer from 10 to 70 pounds with the simple turn of a hand-operated “AccuDial”. Build your strength and poundage gradually without risking injury. Now available in an exclusive Realtree EDGE series, you need to give the AccuBow a look if you are looking to take your archery abilities to the next level.